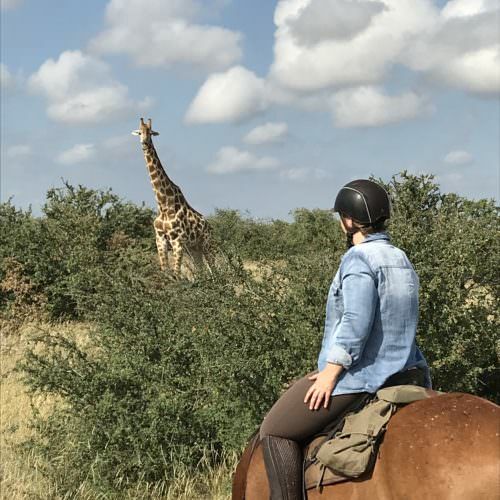 This safari combines game viewing on horseback in both South Africa and Botswana, together with discovering elements of South African history. 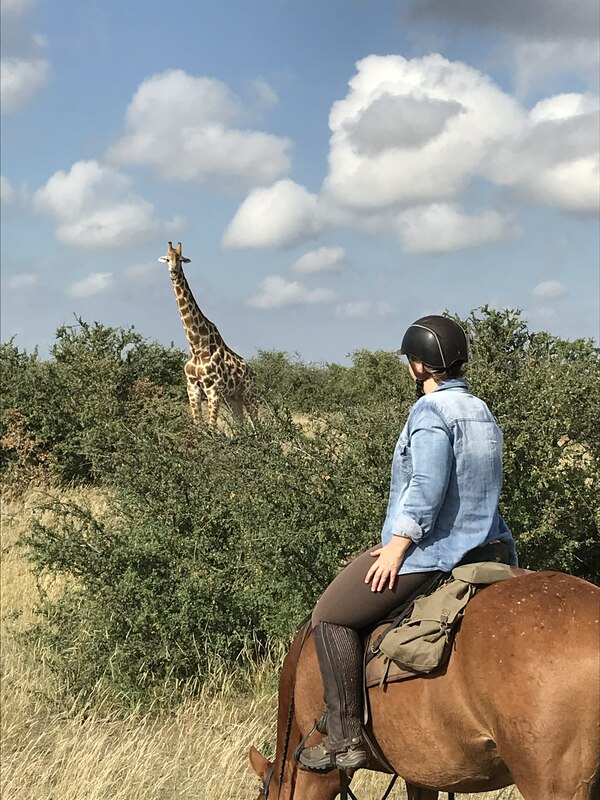 Not only will you see the African bush and it’s magnificent wildlife, but you will also learn about the rich history of the area. 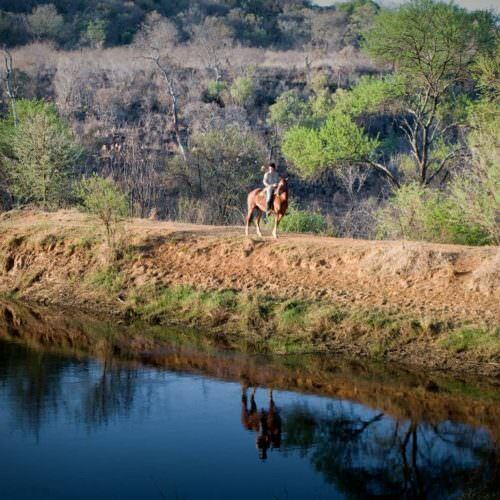 In the late 19th century Ted Davidson one of the first members of the Baber family to settle in the Waterberg was a young man trading by ox wagon to remote cattle outposts. 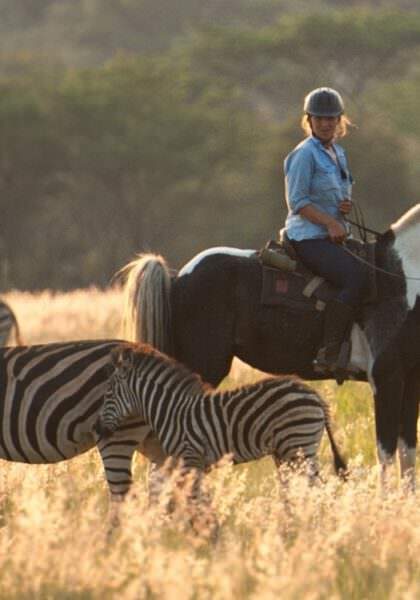 A good day of travelling may have been only five miles or so by rugged track, and so an itinerant life in the Waterberg meant a life by the campfire. 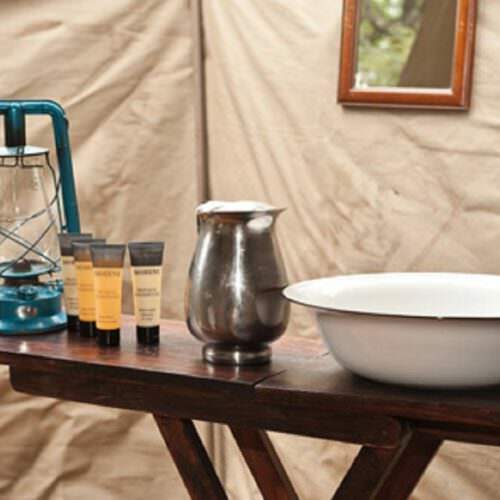 Horizon has captured this early camp atmosphere in creating Camp Davidson where your African adventure begins. 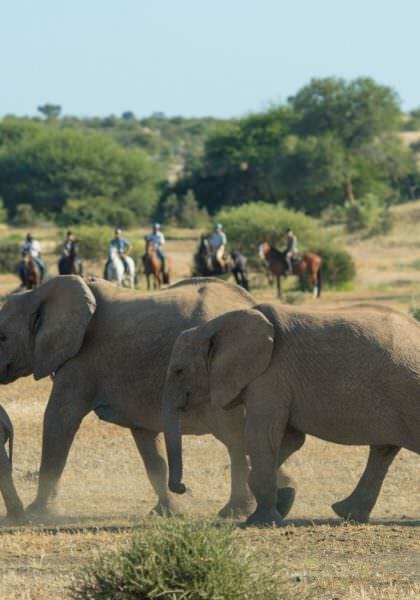 The second half of your safari takes you north to the Limpopo Valley in the Tuli Block of Botswana. 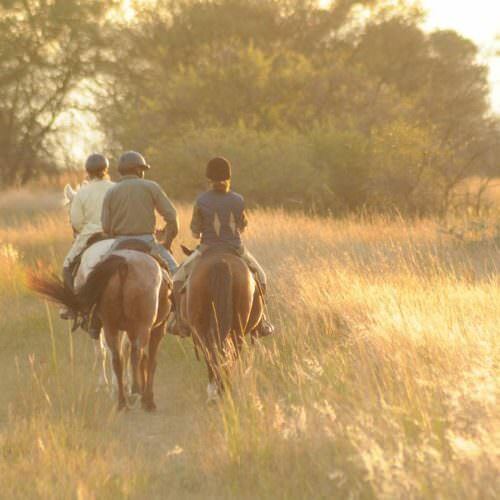 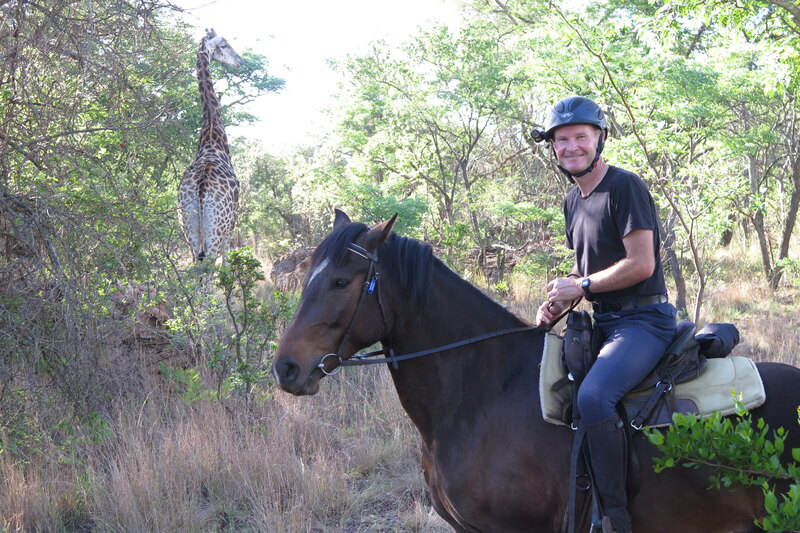 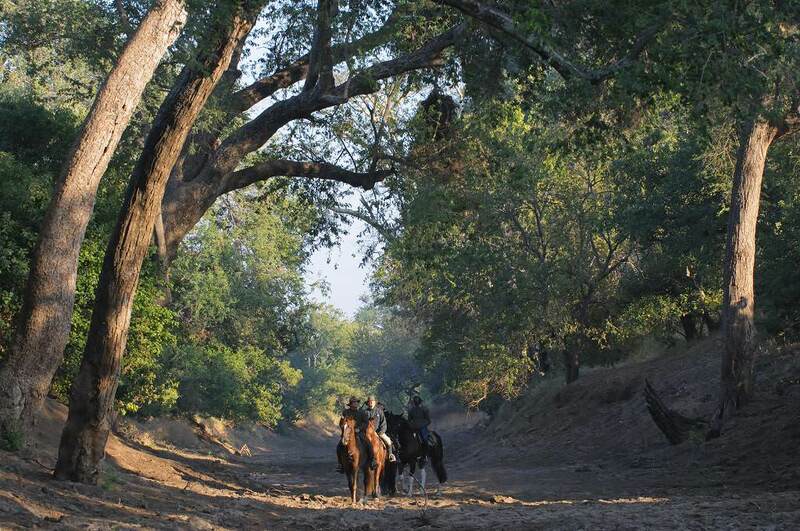 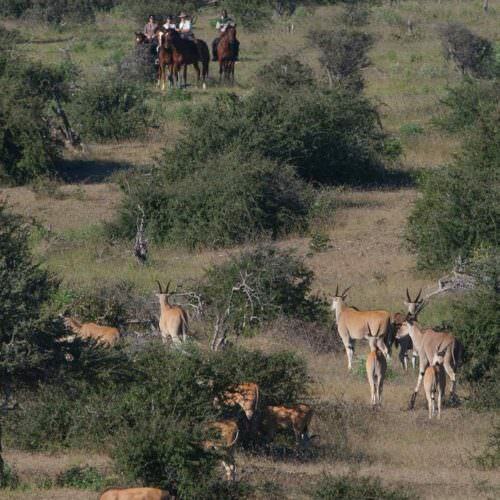 The riding trails here cover both the riverine terrain and the mopane bushveld. 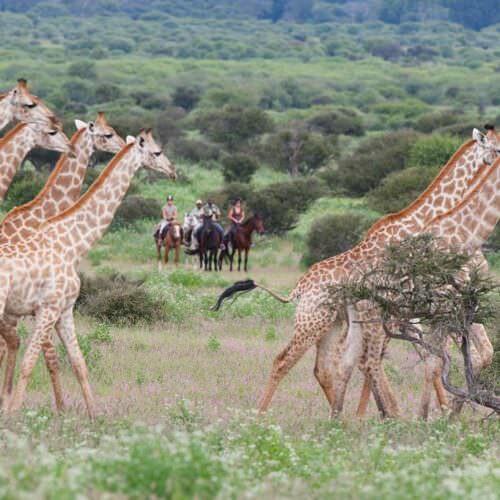 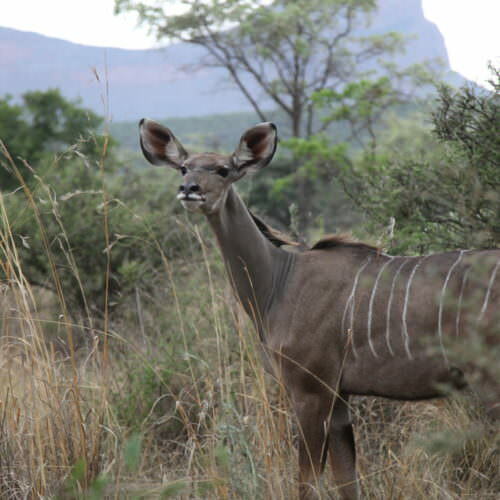 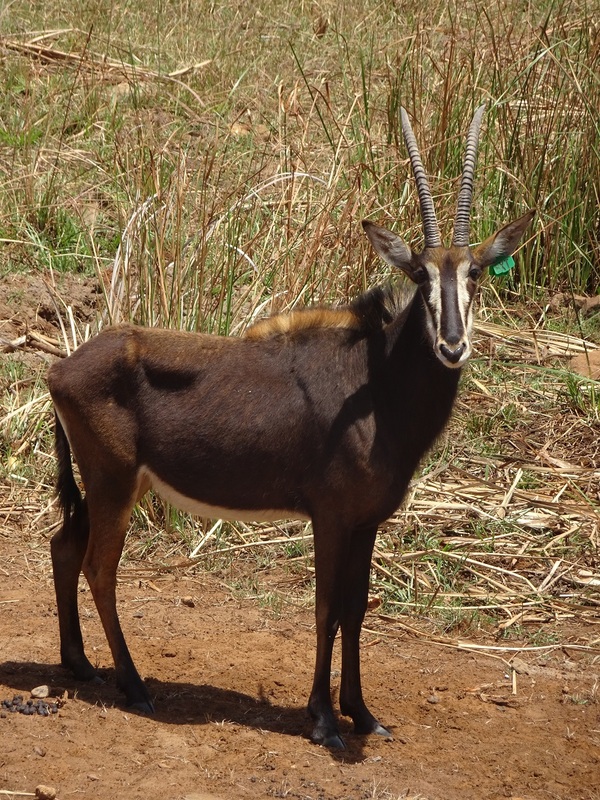 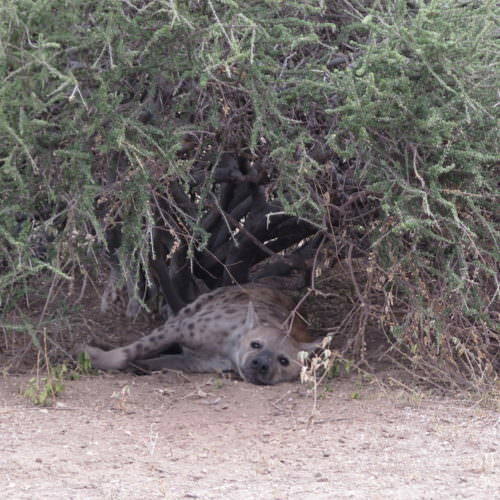 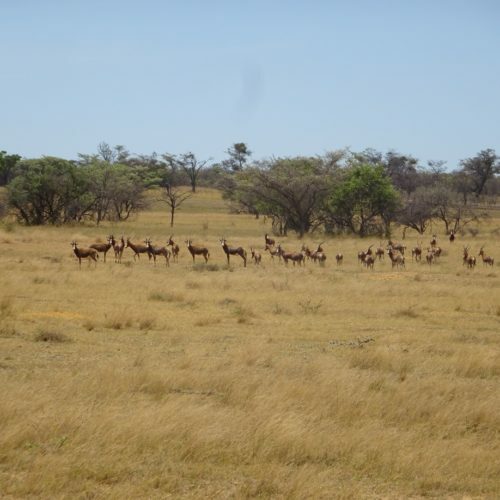 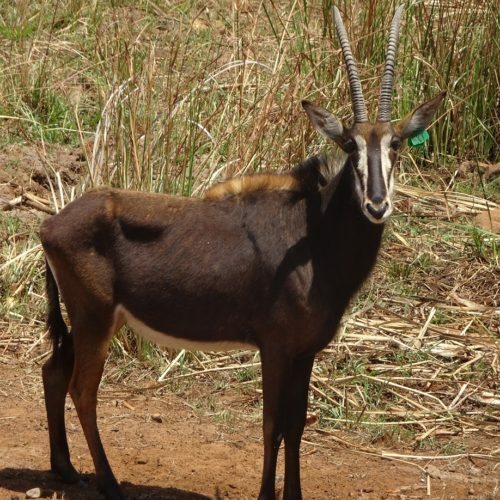 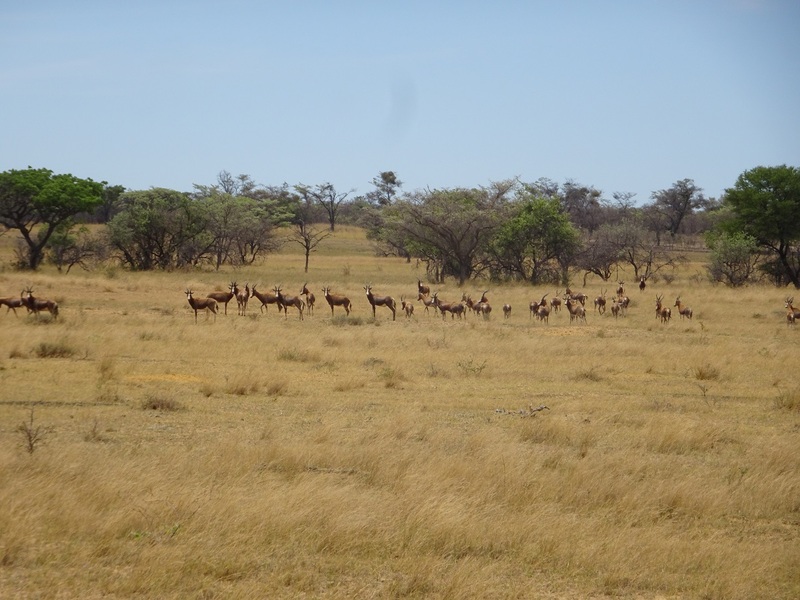 The area is famous for its large herds of elephant but you should also see eland, impala, giraffe, hyena and hopefully also leopard, lion and perhaps cheetah and wild dog. 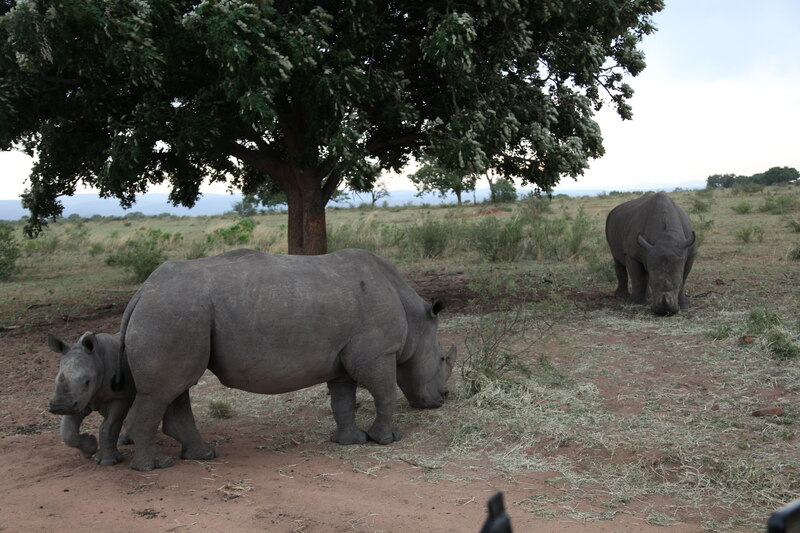 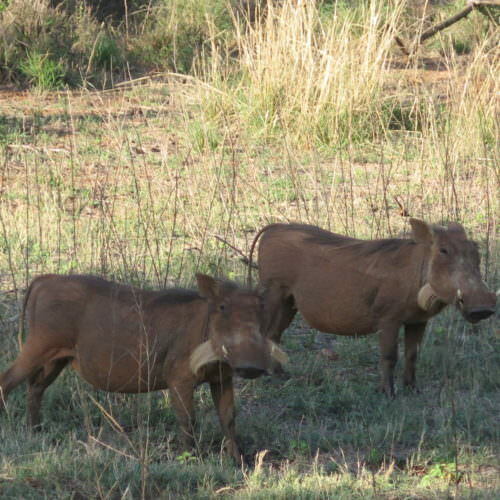 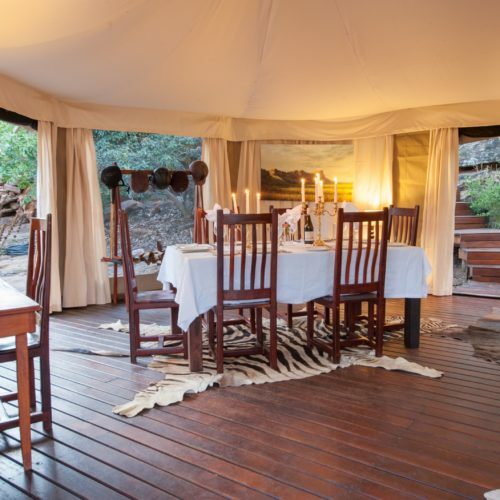 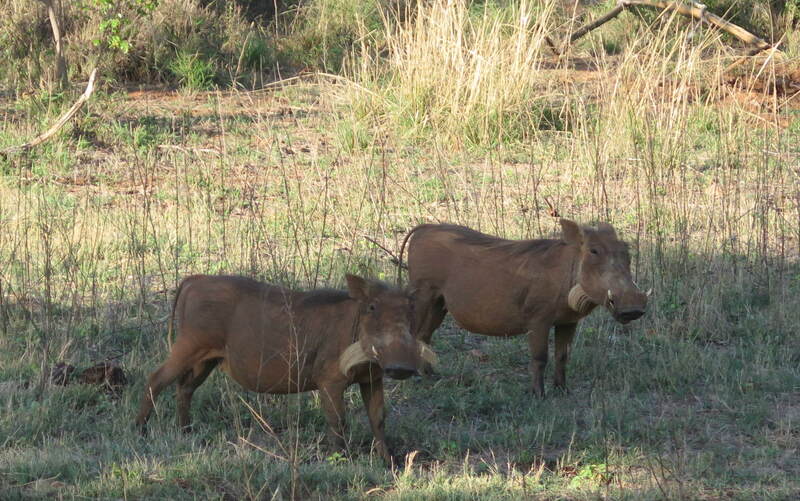 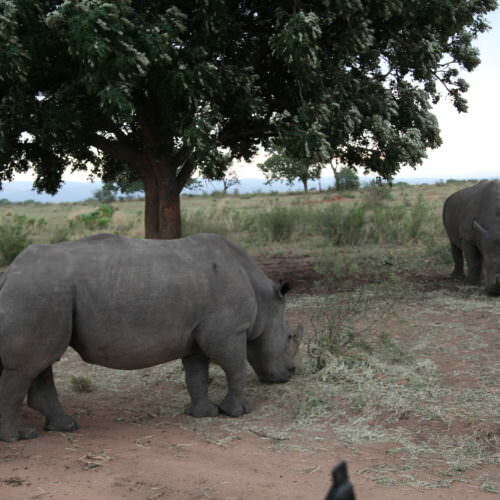 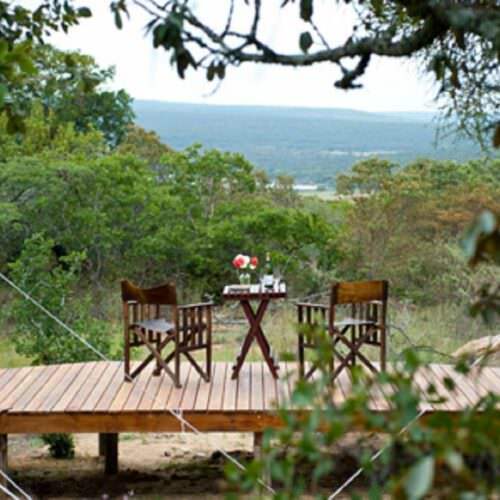 At Limpopo you stay at Two Mashatus Camp which is a semi-permanent tented camp. 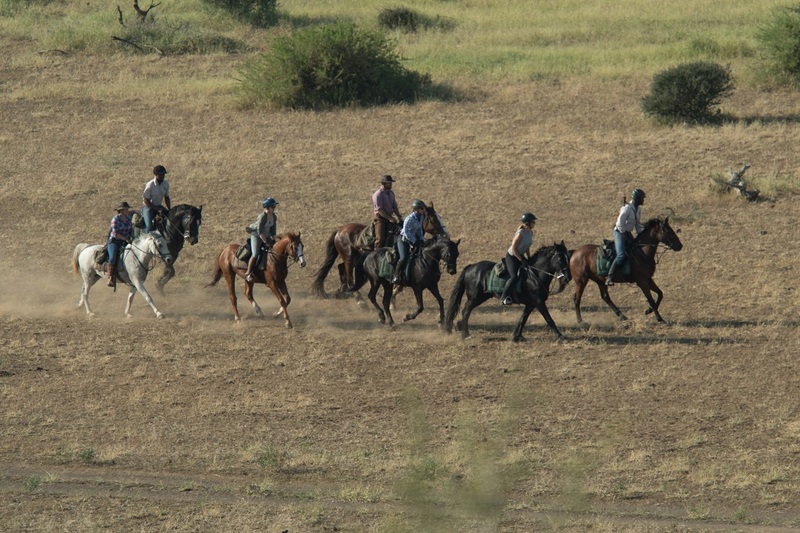 The pace is walking for game viewing with possible faster riding along the dry riverbeds and longer canters in between. 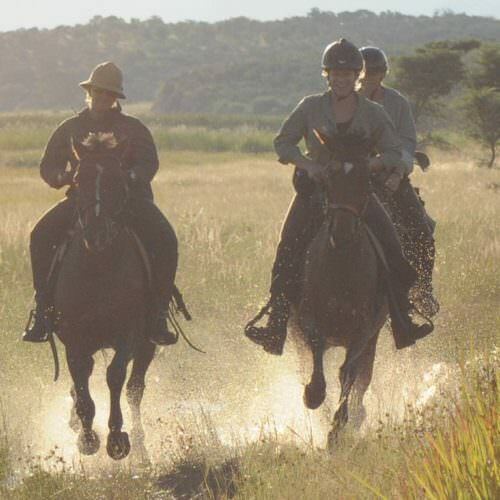 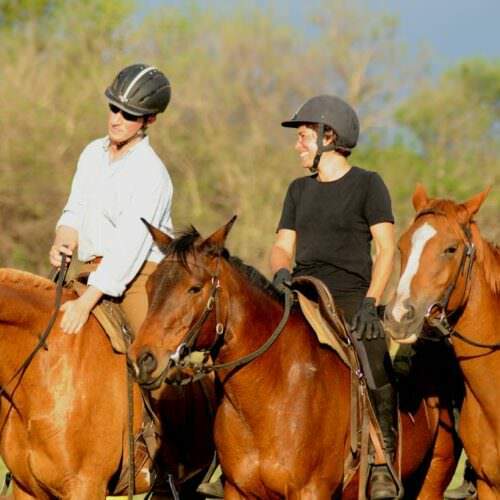 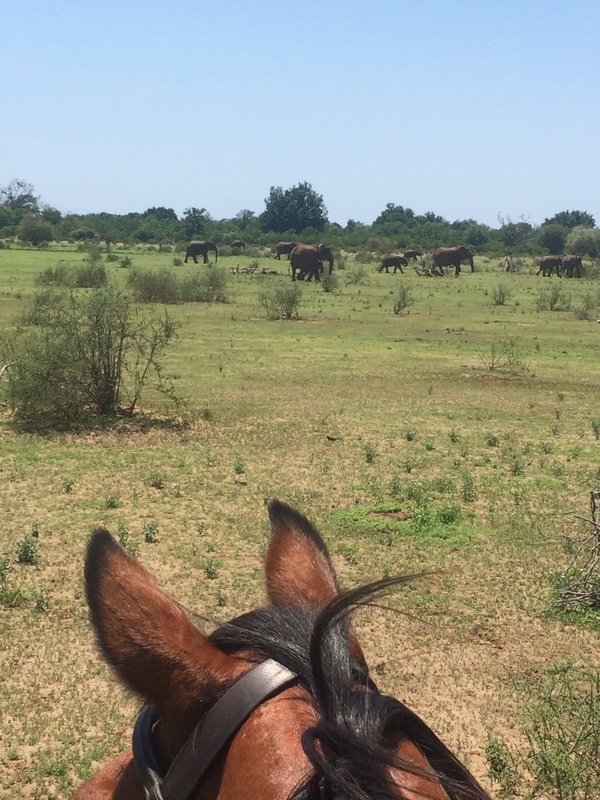 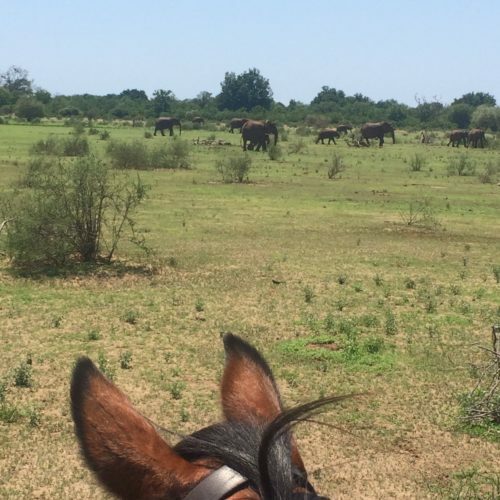 In Botswana you are riding in areas of dangerous game this ride is therefore only suitable for experienced riders who are confident and secure in the saddle. 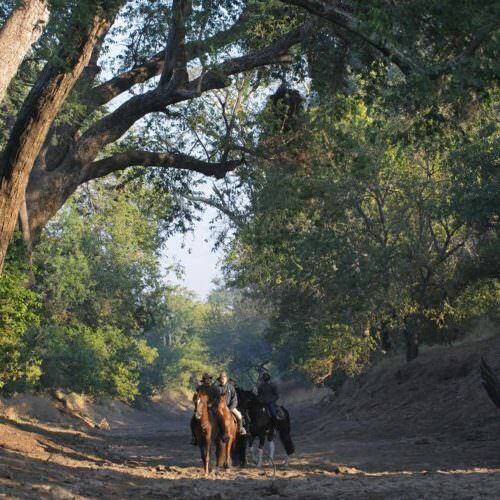 There are quite a few very steep river banks to descend and climb as well as some ditches and natural obstacles and riders should be confident in the outdoors at all paces with some jumping. 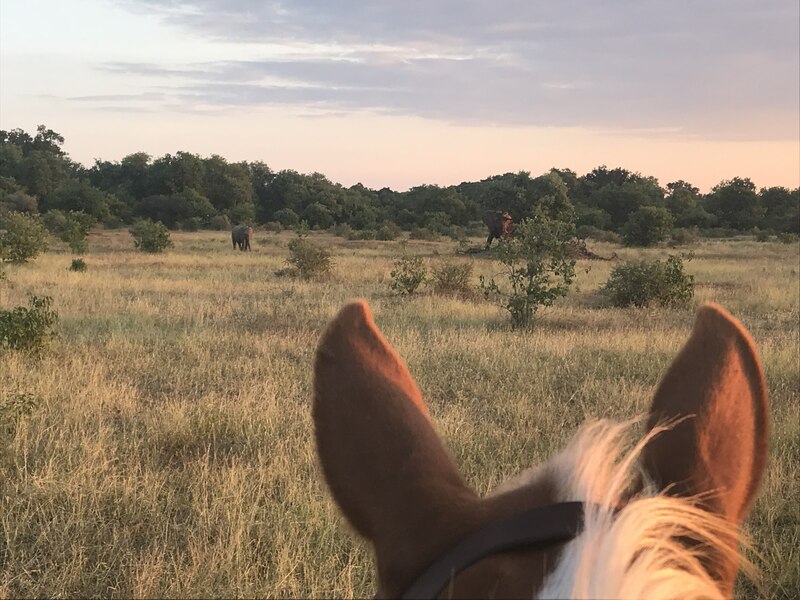 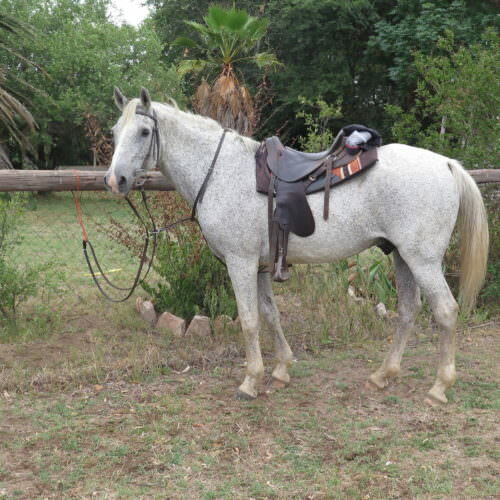 The horses at Camp Davidson are a mixed herd of Anglo-Arabs, thoroughbreds and Boerperds - a hardy South African breed with a responsive, kind and honest temperament. 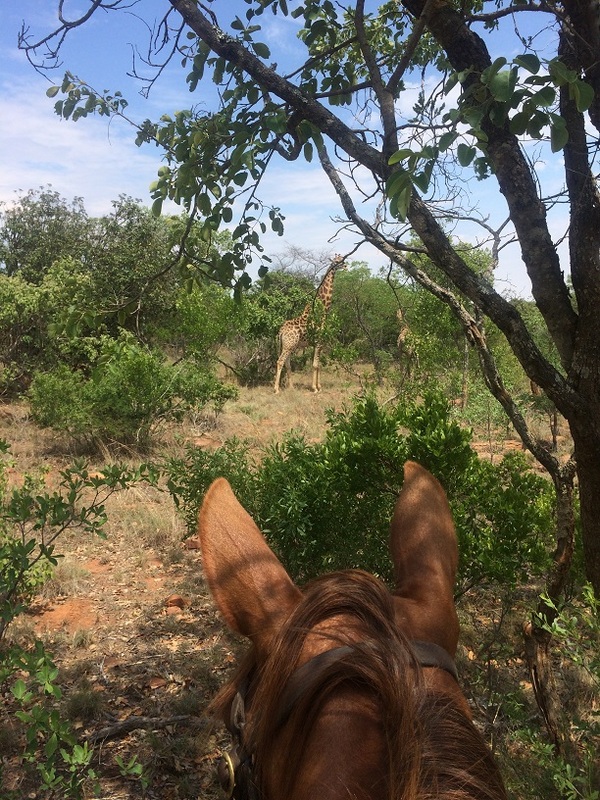 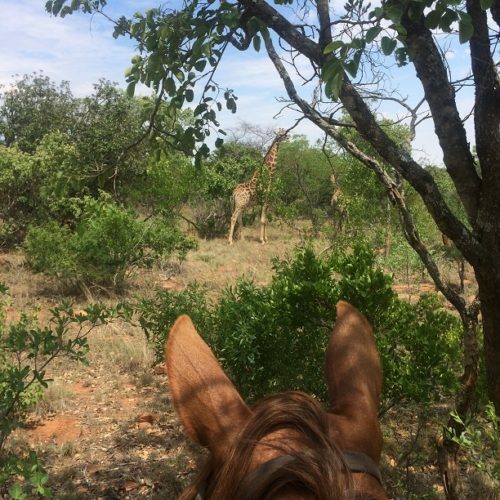 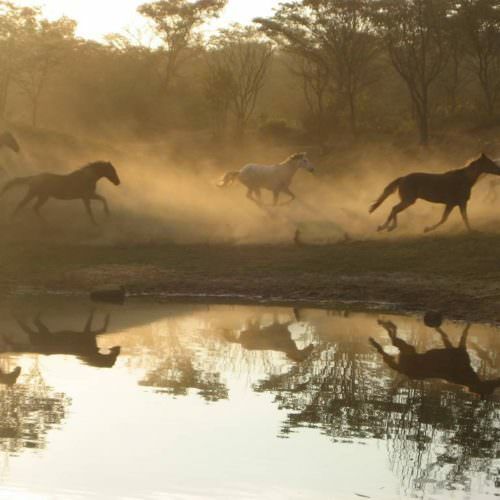 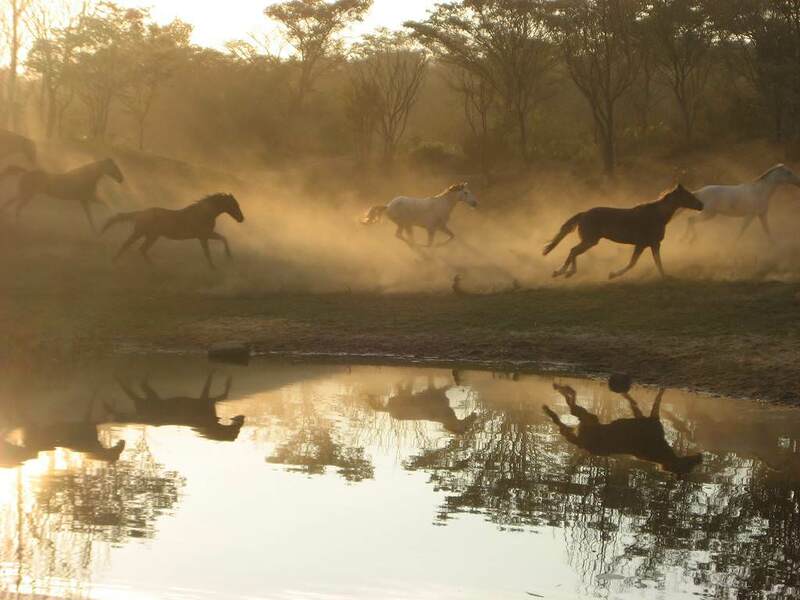 The horses at Limpopo are mostly Boerperd and Boerperd-crosses and range in height from 14.3hh to 17hh. 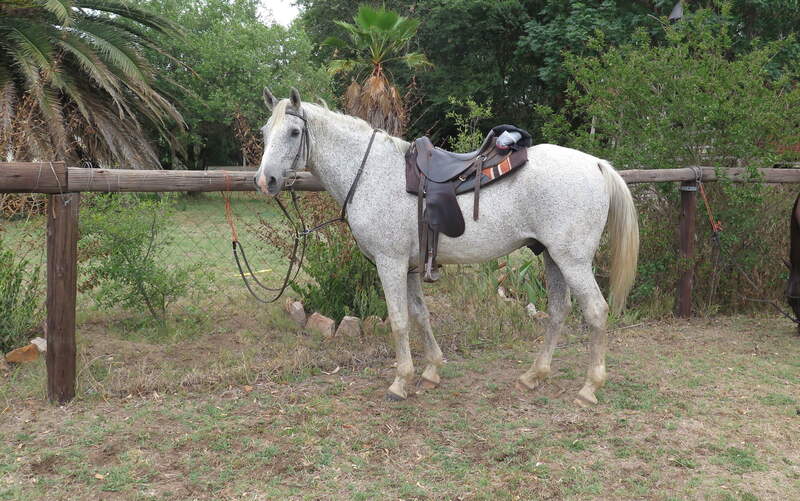 All are very sure footed and with good temperaments. 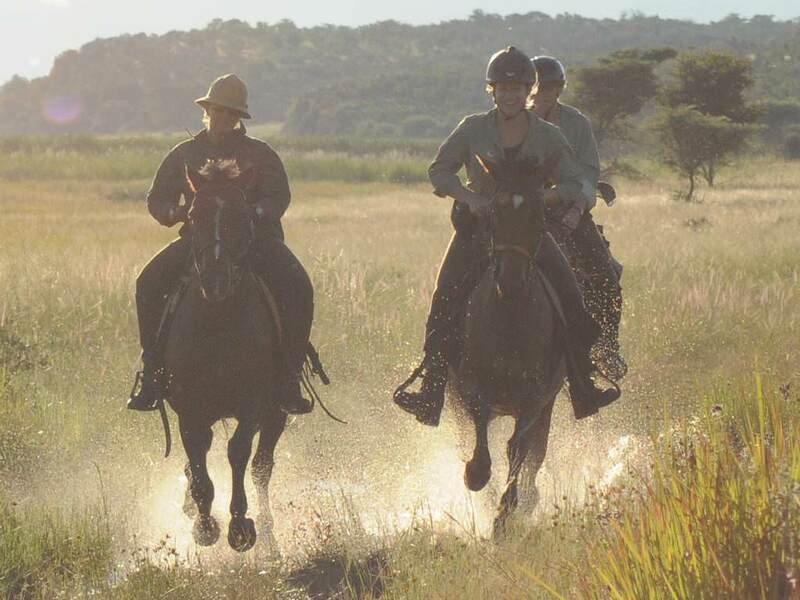  The horses are ridden in South African Trail saddles. 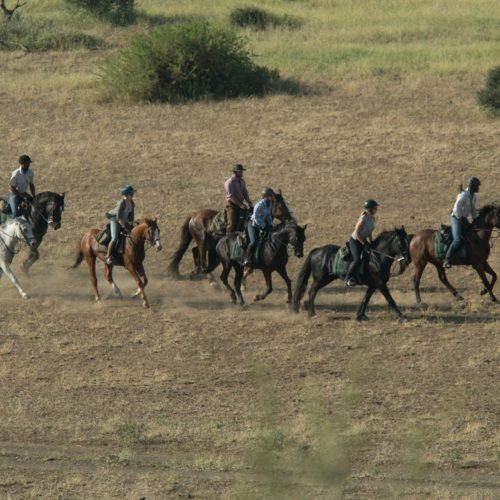 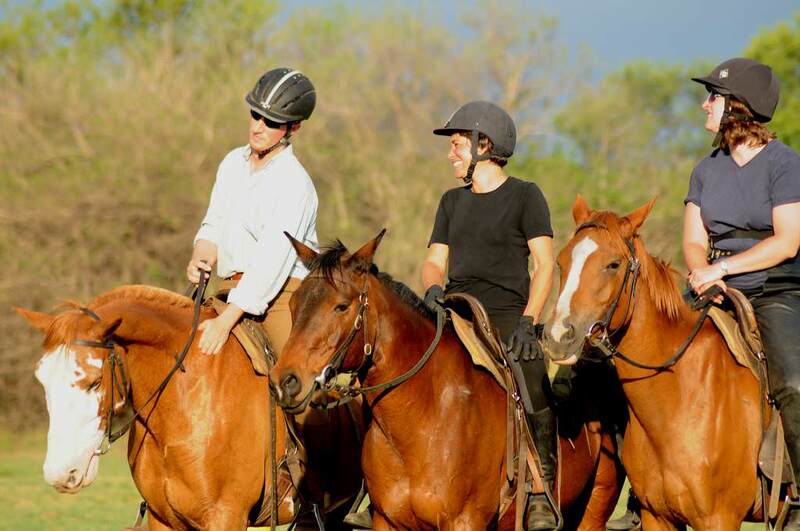 The usual minimum age is 16 years but exceptions can be made for private groups or very competent riders. 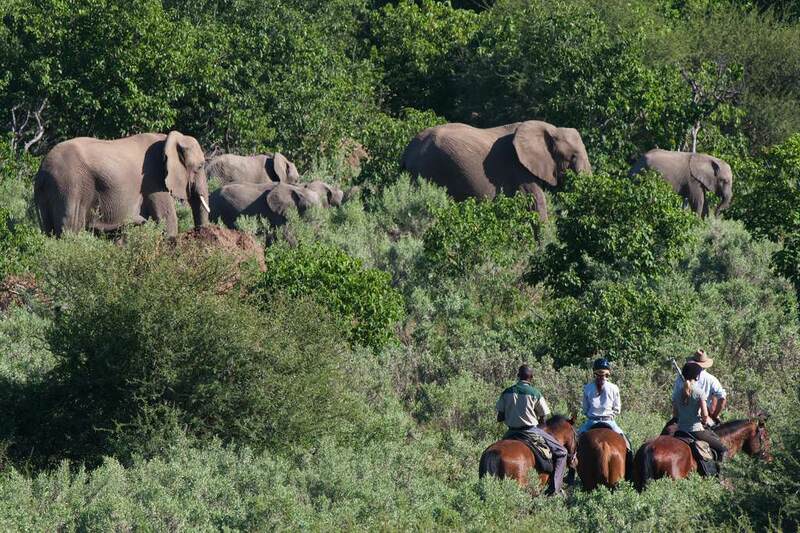 Riders under 12 years of age cannot be accepted. 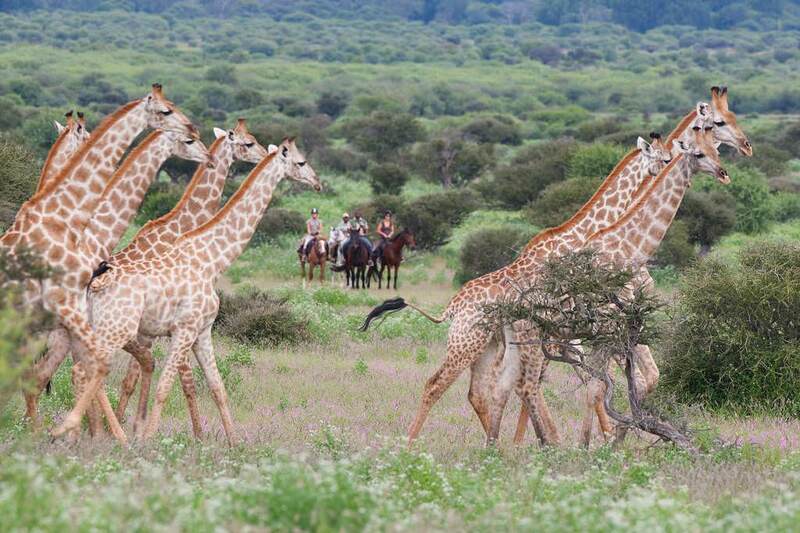 Hard hats are mandatory on this safari. 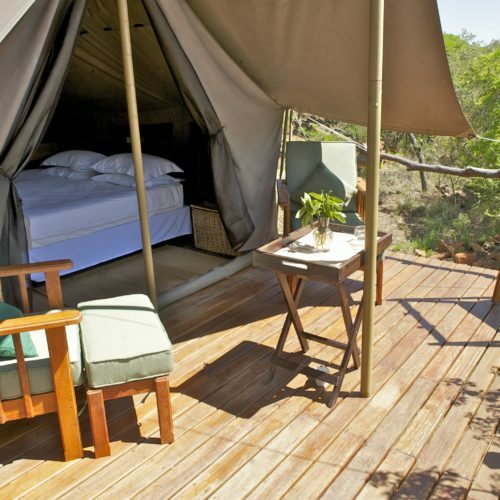 At Camp Davidson you stay in decked canvas tents nestled amongst the sandstone ridges overlooking grassy valleys. 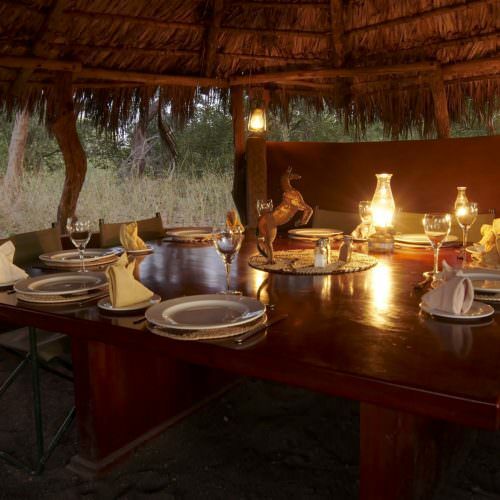 Each tent is appointed as it would have been in Ted's day with classic items that would have been essential to the traveller accustomed to regular nights in the bush. 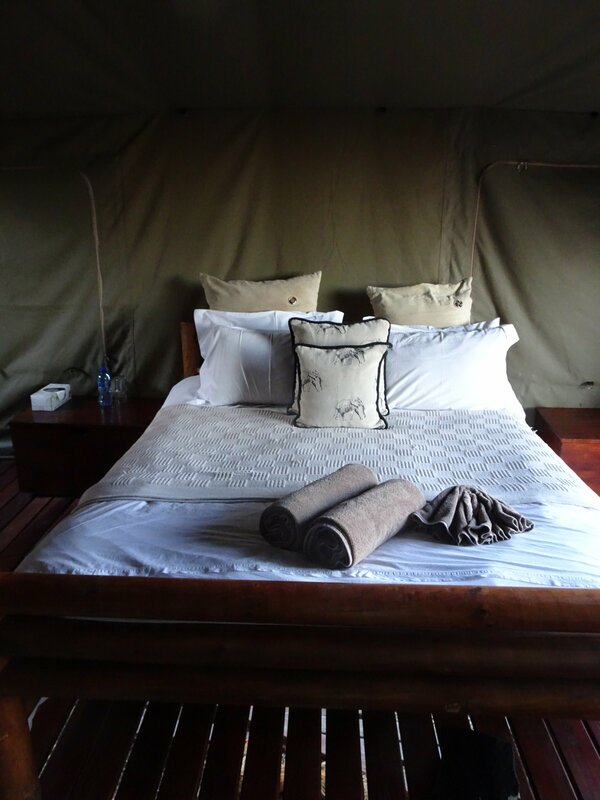 The A-frame tents have beds sheets and duvets. 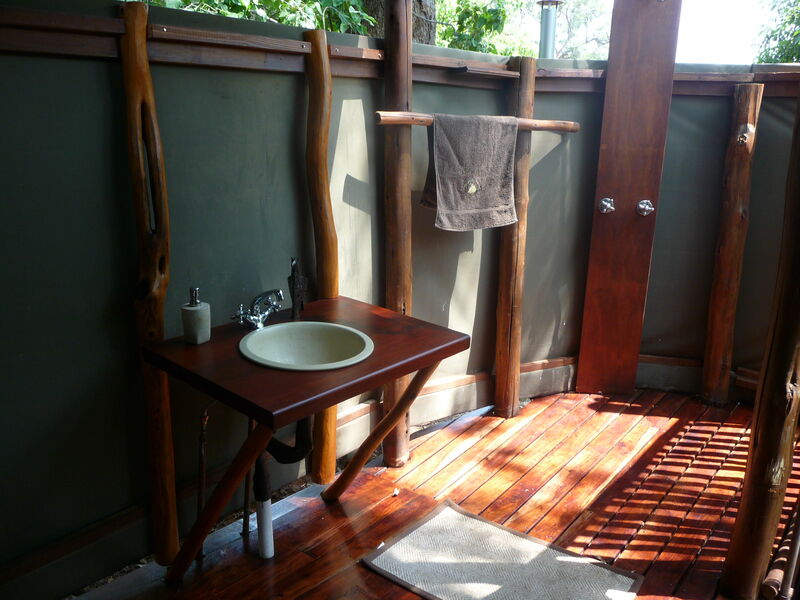 Each tent also has an ensuite bathroom area with bucket showers. 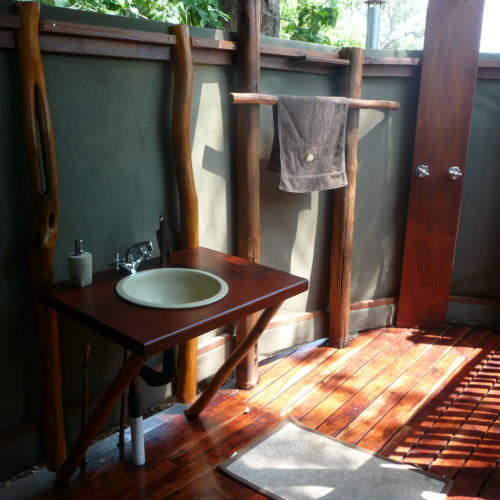 There are jug and basin hand wash facilities and flushing toilets. 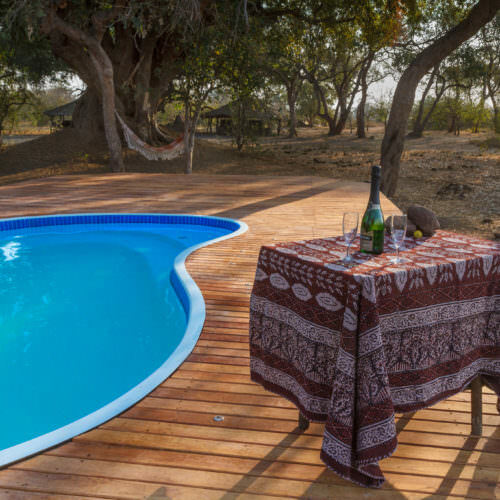 There is also a small plunge pool. 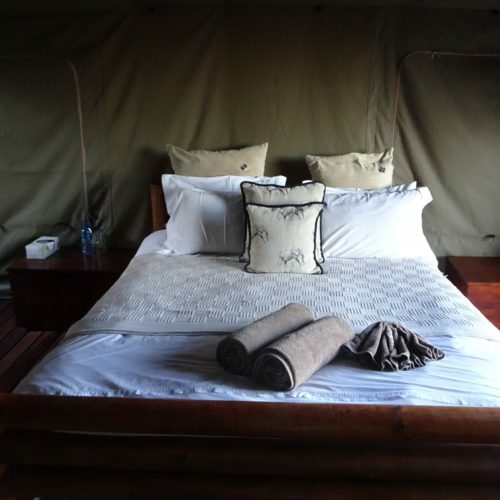 The Botswana section is based at Two Mashatus Camp a semi-permanent tented camp. 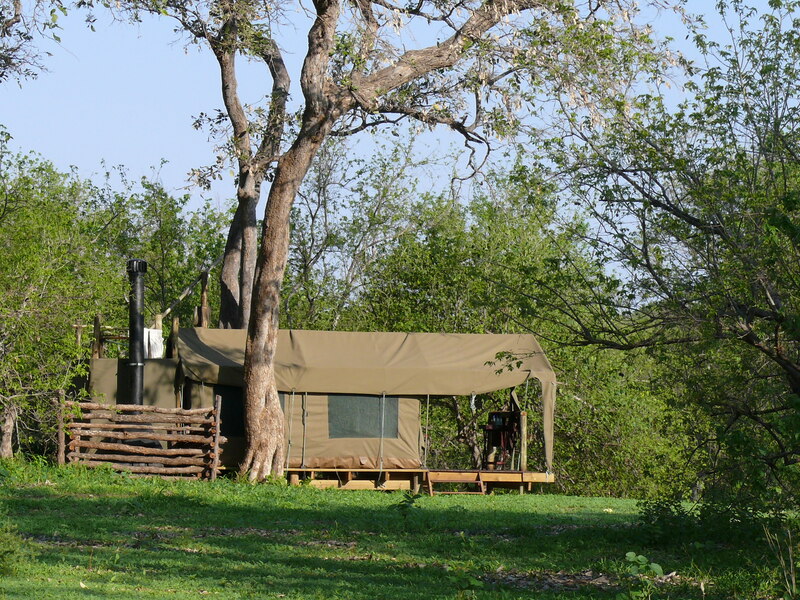 There are five comfortable and roomy tents each on its own raised teak platform with flushing loos and running showers with a view. 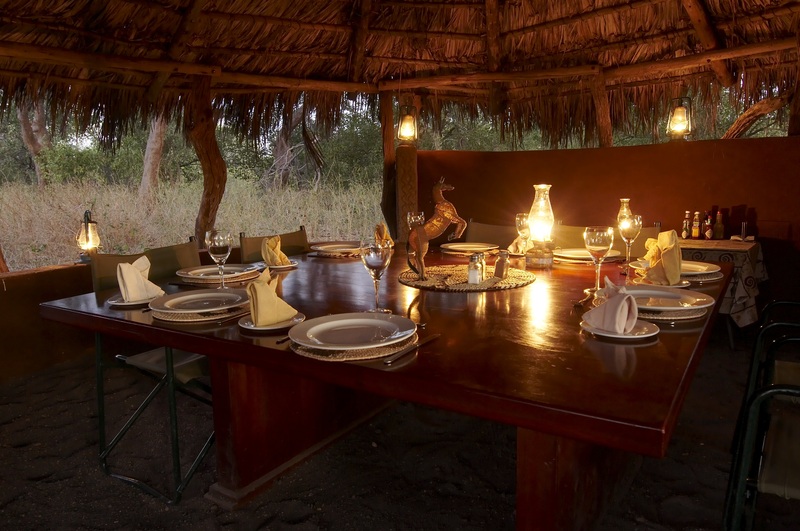 The century old Mashatu tree provides shade and there is a central dining area built in the traditional Botswana style with lala palm thatch. 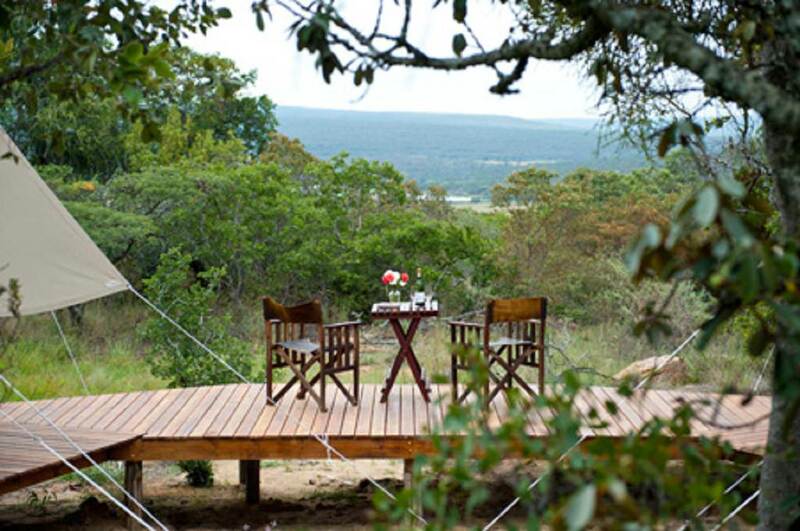 The lounge area has comfortable sofas and hammocks for relaxing between activities. 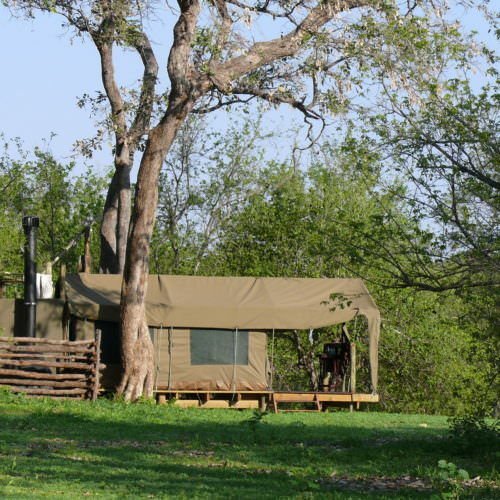 The camp is not enclosed and a real treat will be to see game in and around camp. 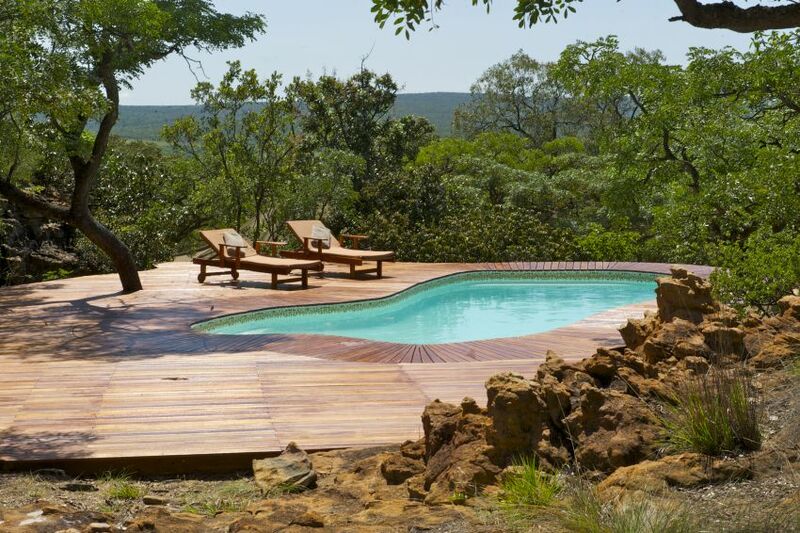 There is also a small plunge pool to enjoy and cool down beside when not riding. 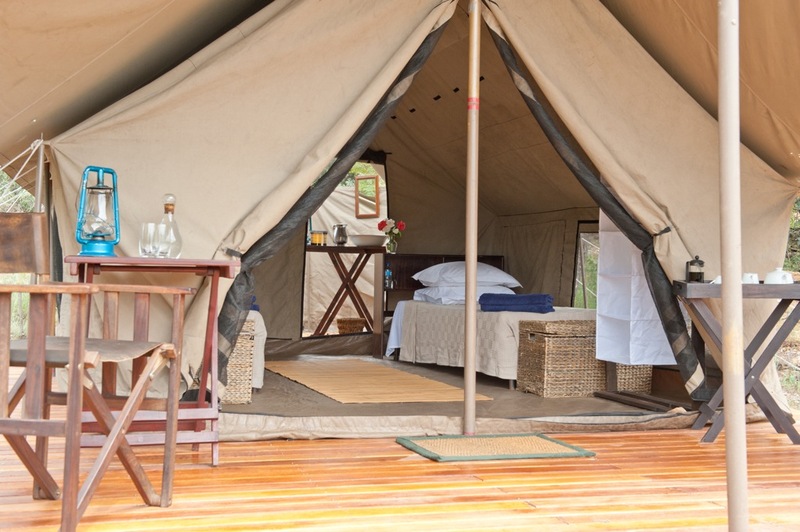 A double tent at Camp Davidson. 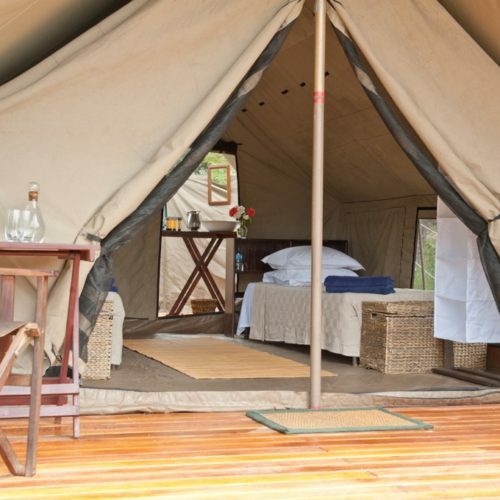 A twin tent at Camp Davidson. 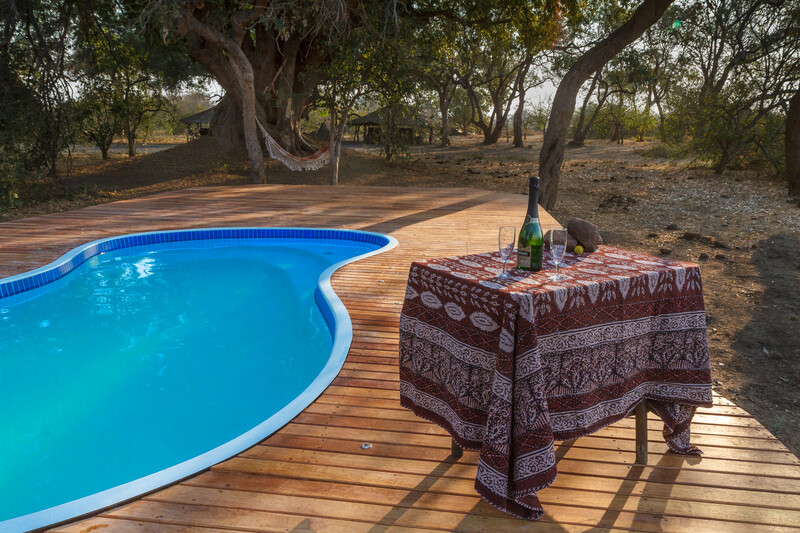 The swimming pool at Camp Davidson. 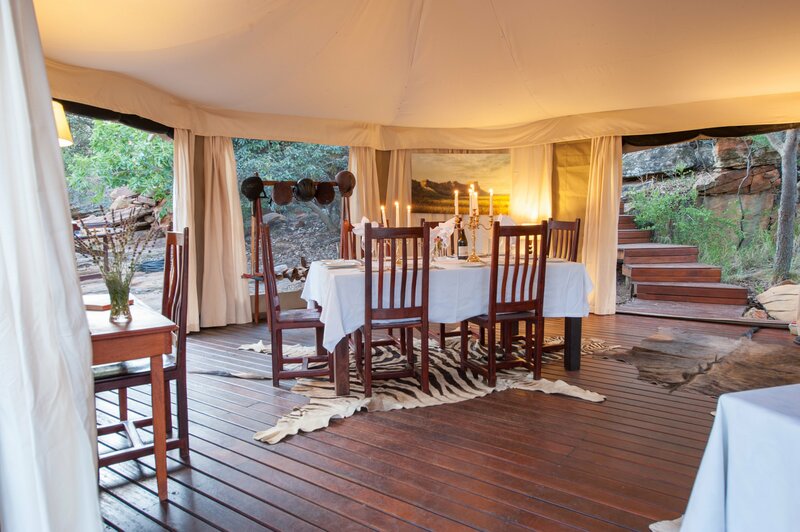 The dining room at Camp Davidson. 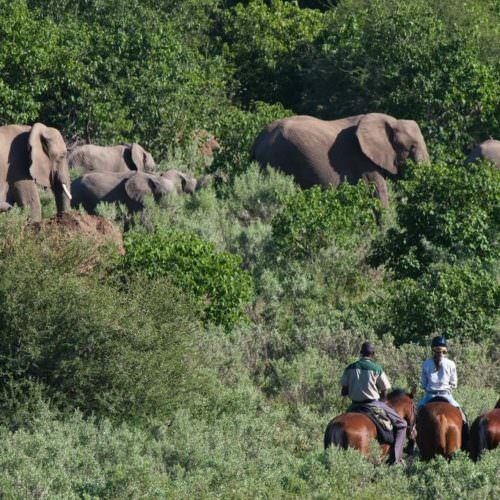 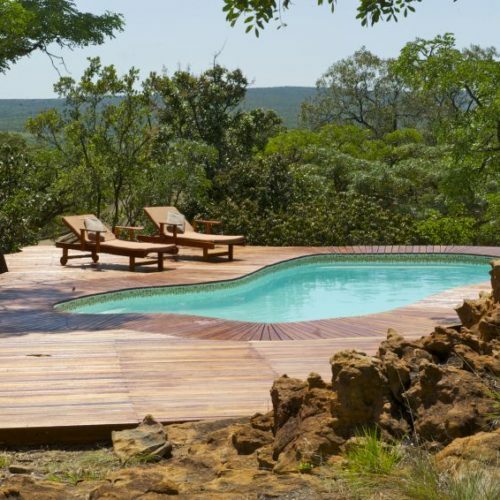 INCLUDES Accommodation; full board; drinks; riding; game drives and Laundry. 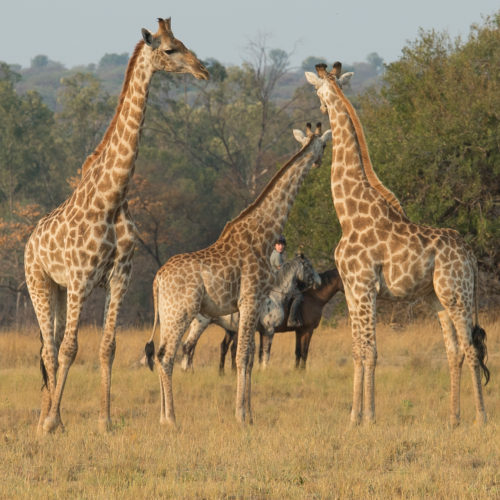 SINGLE SUPPLEMENT No single supplement if you are willing to share. 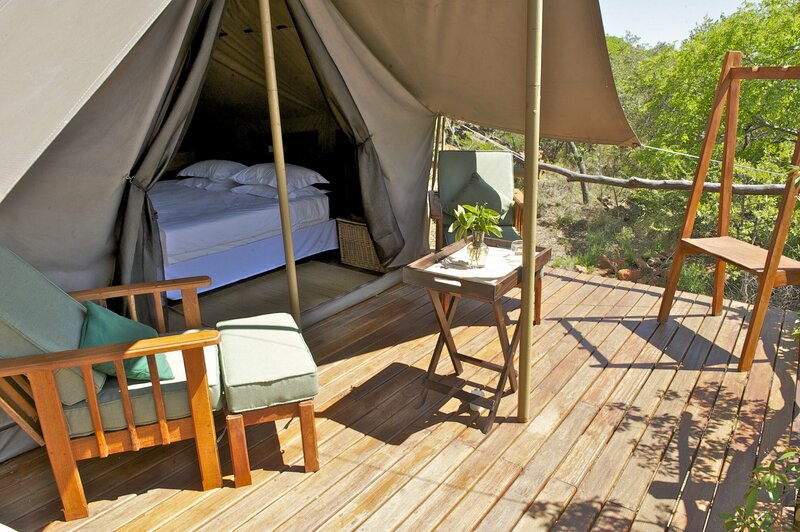 The price to guarantee a single tent is 50% of the per person rate. 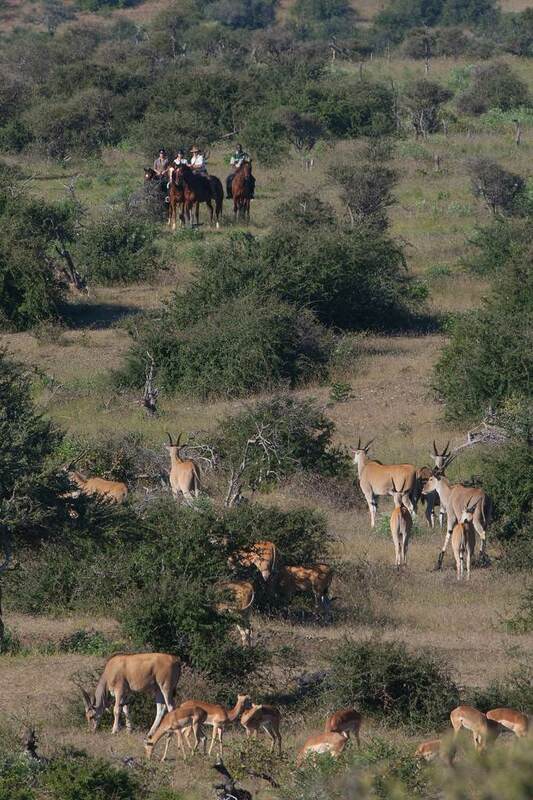 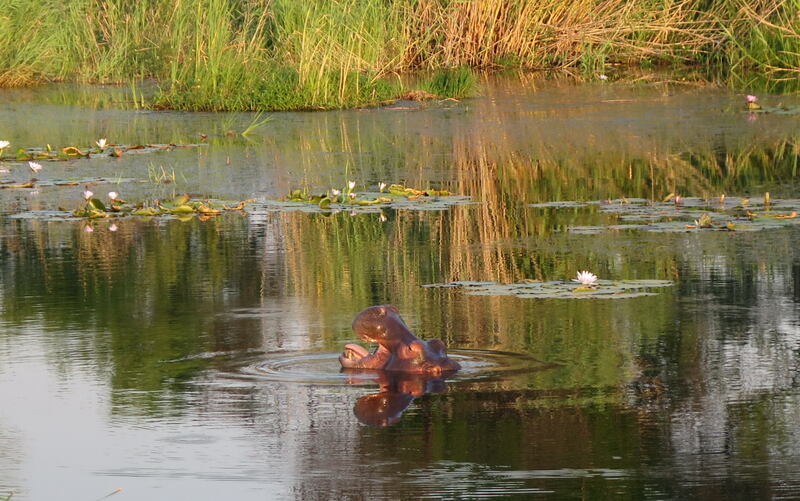 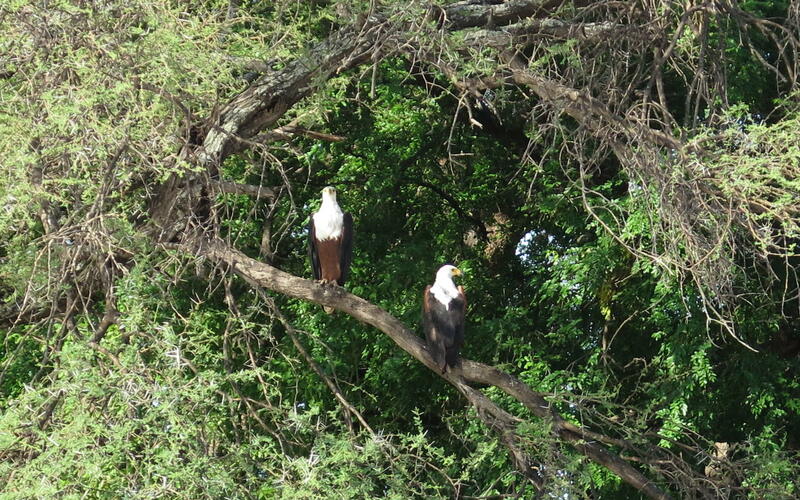 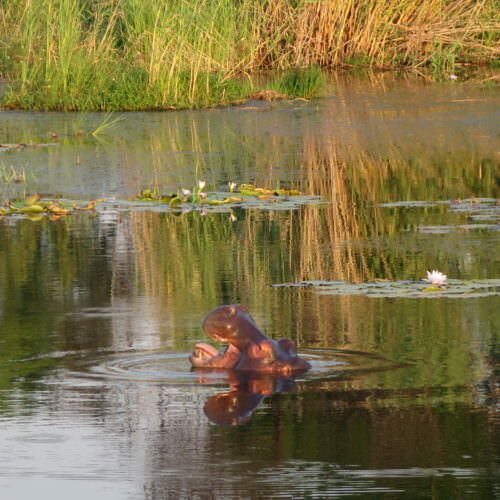 PAYABLE LOCALLY Tips; Conservancy fee of US$30 per person payable locally on entry to Botswana. 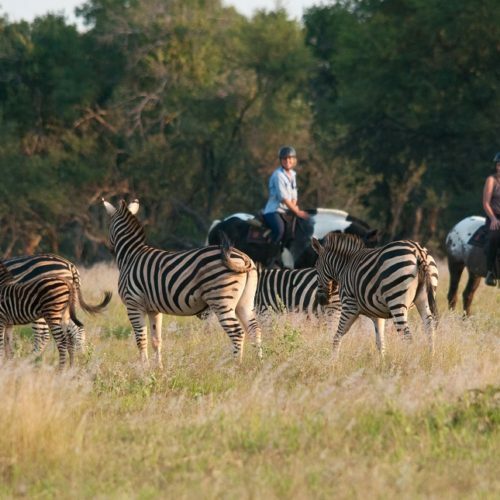 TRANSFERS Shared road transfers from Johannesburg to Camp Davidson, Camp Davidson to Limpopo and from Limpopo back to Johannesburg costs £300.00 per person. 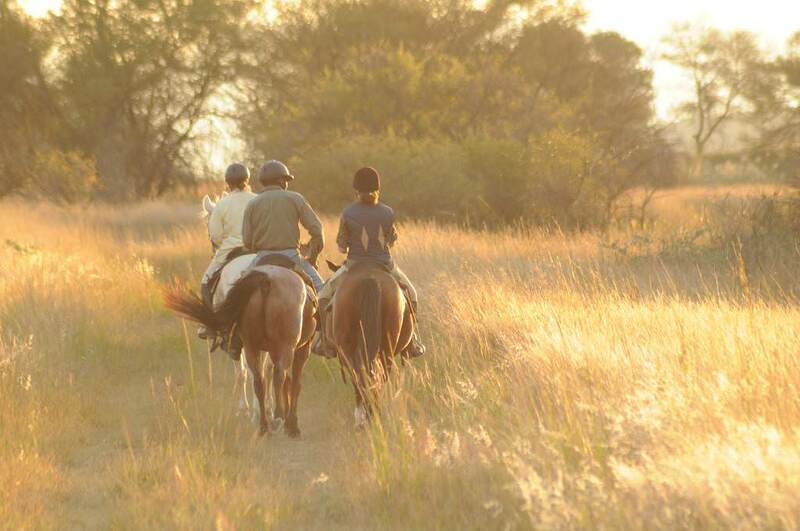 This two-centre ride combines a camp in the heart of the Waterberg Plateau with the Tuli Block in eastern Botswana. 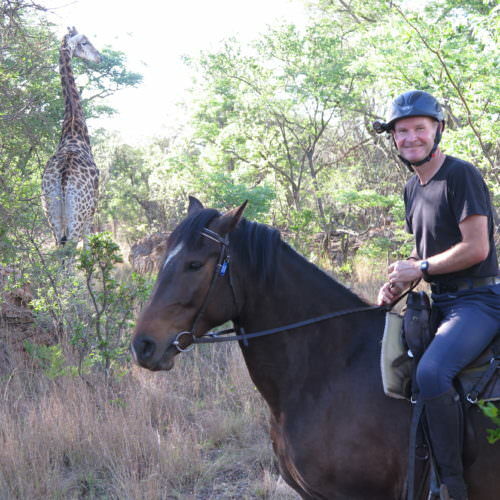 Nearest airport is Johannesburg. 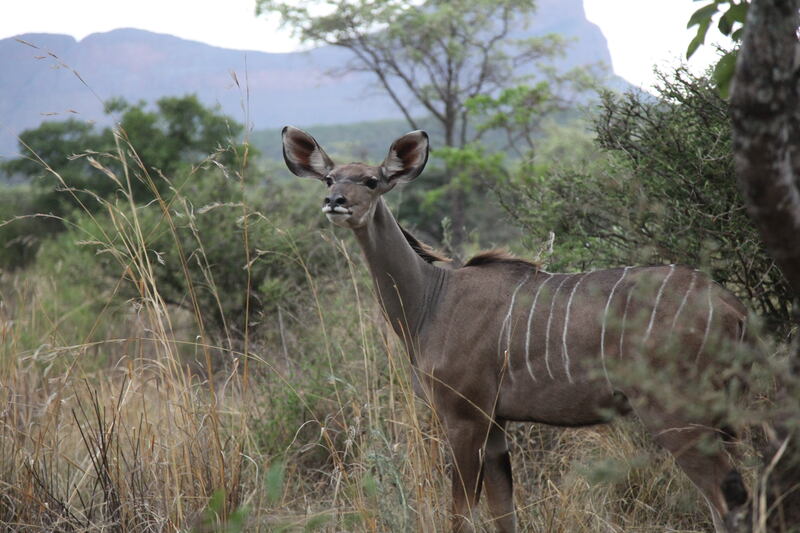 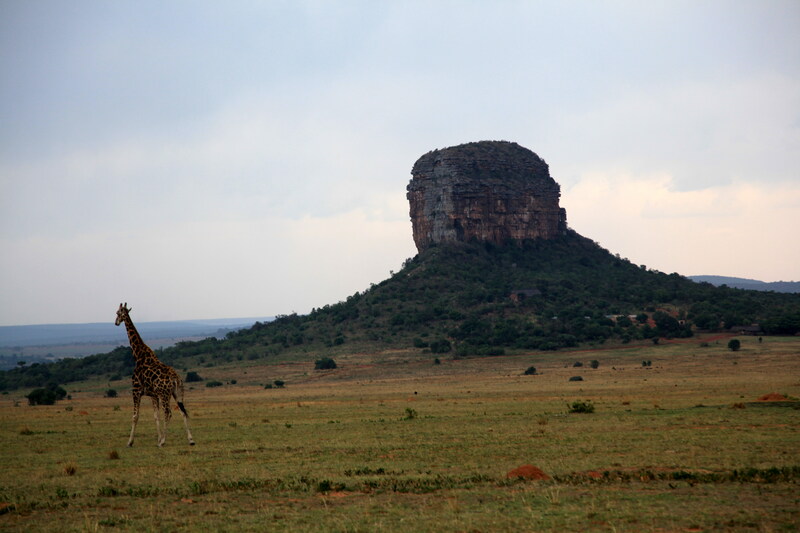 In the Waterberg it is dry and mild in winter, warm to hot in summer with occasional summer storms. 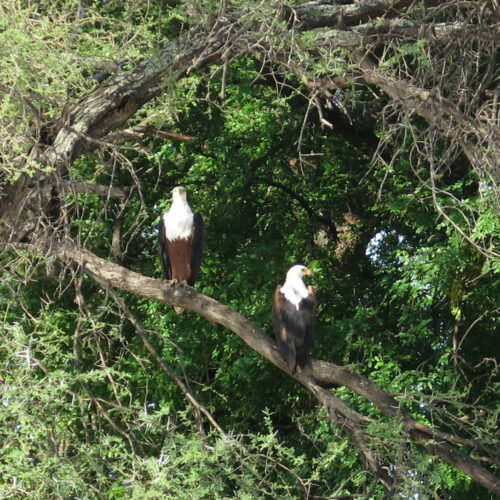 The main rains are from the end of November to January. 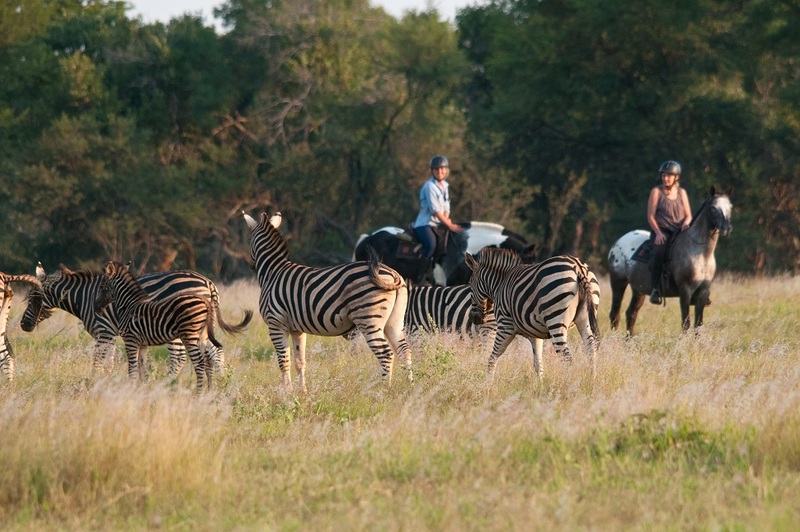 Botswana has a mainly temperate climate. 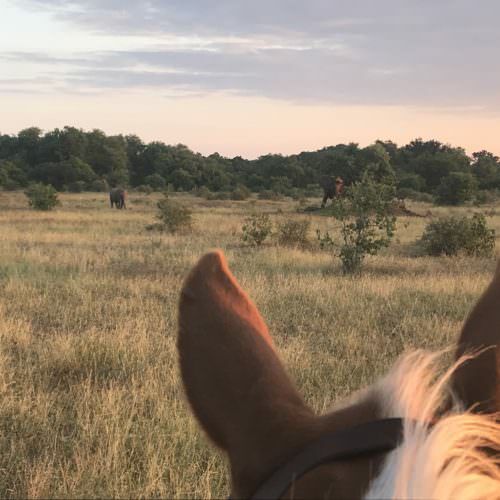 May to August days are clear and sunny. 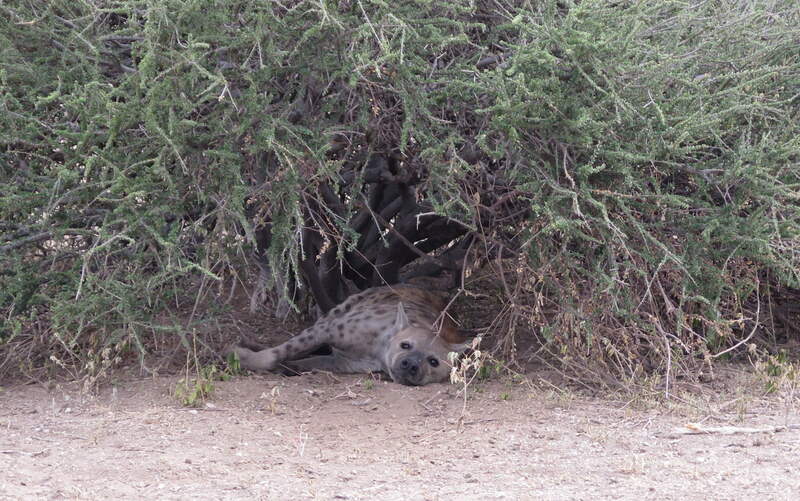 Early mornings and evenings can be cold. 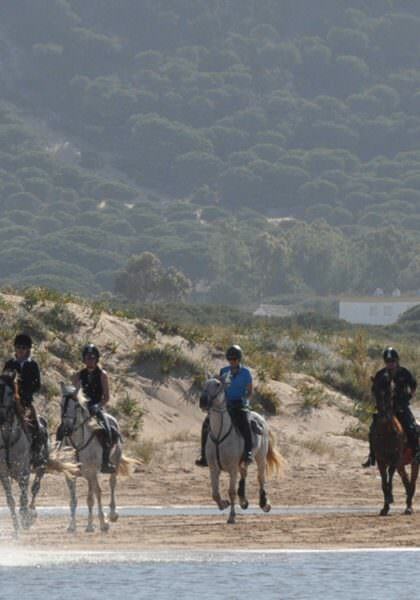 From October onwards day time temperatures time can rise to high 30s. 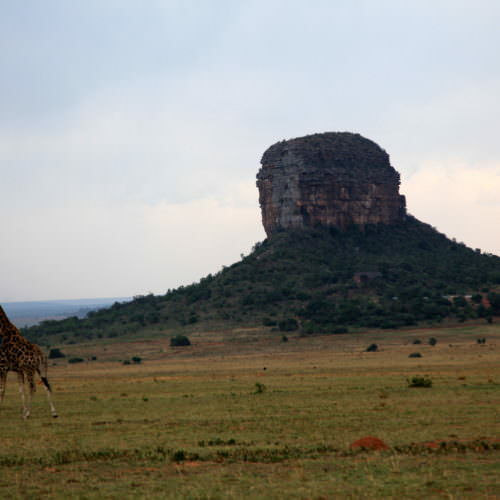 December to February are the main rainy months when thunderstorms can occur. 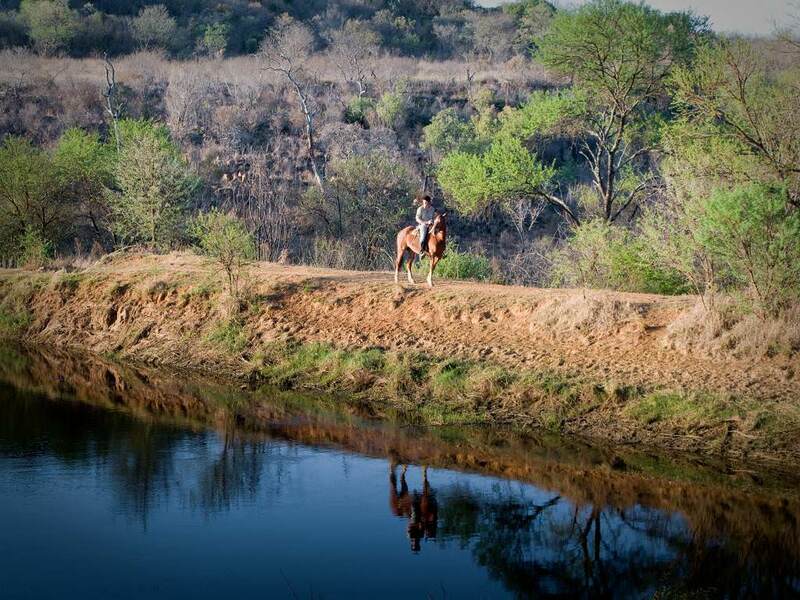 Riding in two such diverse areas will give you a true flavour of Africa. 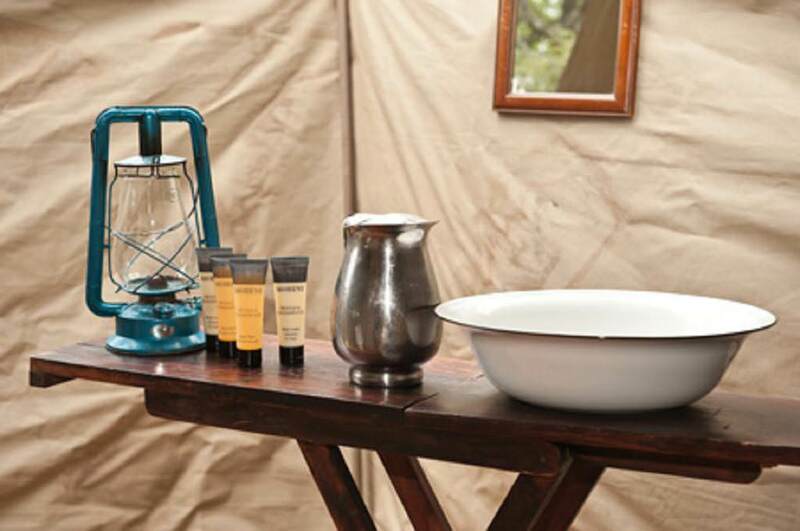 A head torch is an essential item of kit for camping.